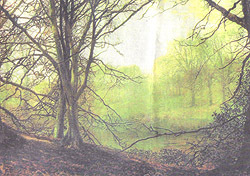 For sale: John Atkinson Grimshaw's Beeches, a view of Gledhow Woods in Leeds painted in 1872. Leeds City Art Gallery has vetoed the chance to bid for an oil painting by the city's greatest painter - John Atkinson Grimshaw. Grimshaw created Beeches, a study of Gledhow Woods, in 1872 and the painting has surfaced at an exhibition at the Richard Green Gallery at Dover Street, London. But the asking price is £350,000. A gallery spokesman said "It was on our agenda for the latest acquisitions committee. While it is a ver nice painting and we would love to have it, it was not top of our priority list - and it is a lot of money." "We have a small budget for new acquisitions and we always hope to supplement this with grants from trusts and other bodies and sometimes we can achieve six figure sums. But you can not do that too many times." A spokesman for Richard Green Gallery said there had been a lot of interest in the painting. John Atkinson Grimshaw (1836-1893) was the son of strict baptists and his mother strongly disapproved of his interest in painting and on one occasion destroyed all his paints. 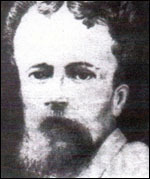 But in 1861 he left his clerk's job with the Great Northern Railway to become a full-time painter. His popularity grew and further success came when one of his pictures was accepted by the Royal Academy. Initially his paintings were mainly still lifes with a few landscapes of the Leeds area but he gradually became interested in painting night scenes. These included Whitby Harbour by Moonlight, painted in 1867. By 1870, Grimshaw was able to buy Knostrop Old Hall, a large 17th century house two miles from Leeds. He campaigned for most of his career for a Leeds City Art Gallery and after a long struggle it was finally opened in 1888.